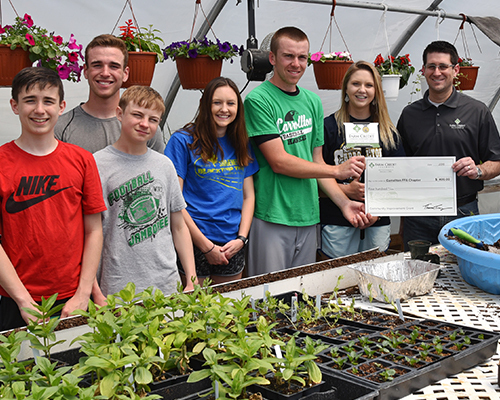 Farm Credit Illinois recently awarded a total of $56,000 in scholarships were awarded to high school seniors throughout central and southern Illinois to pursue agriculture-related majors and careers. 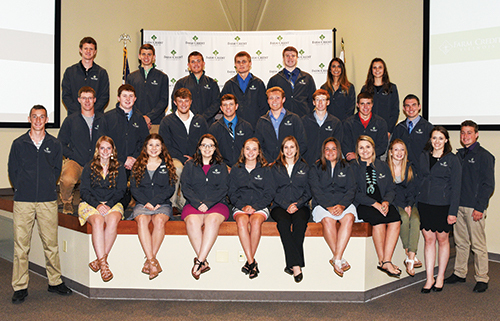 Each of the 28 high school seniors received a $2,000 agriculture scholarship. This is the 16th year of the Farm Credit agriculture scholarship program which has awarded a total of $456,000 to 357 students since 2004. Scholarship selections are based on a combination of academic achievement, participation, and leadership in school and community organizations, and the applicant’s commitment to an agricultural career. Cooper Block of Paris (Edgar County) will graduate from Paris High School and attend University of Illinois at Urbana-Champaign to study crop sciences. He is the son of Scott and Brett Block. Natalie Bonnell of Golconda (Pope County) will graduate from Pope County Community High School and attend Southeastern Illinois College to study agriculture. She is the daughter of Travis and Kala Bonnell. Maria Brockamp of Morrisonville (Christian County) will graduate from Morrisonville High School and attend University of Illinois at Urbana-Champaign to study agricultural and consumer economics, public policy and law. She is the daughter of Dale and Kendra Brockamp. Hannah Carlock of Chandlerville (Cass County) will graduate from A-C Central High School and attend Lincoln Land Community College as an agriculture transfer student. She is the daughter of Craig and Tammy Carlock. Alexis Carroll of Carrollton (Greene County) will graduate from Carrollton High School and attend Lincoln Land Community College to study to study agriculture with plans to transfer to a four-year university to earn a degree in agriculture science. She is the daughter of Andy and Brenda Carroll. James "Adam" Crites of Rantoul (Champaign County) will graduate from Rantoul Township High School and attend University of Illinois at Urbana-Champaign to study agricultural leadership and science education. He is the son of James and Nicole Crites. Reece Davis of Medora (Macoupin County) will graduate from Southwestern High School and attend Southern Illinois University Carbondale to study agribusiness economics, pre-law. He is the son of Courtney Davis. Adam Day of Lovington (Moultrie County) will graduate from Arthur-Lovington-Atwood-Hammond High School and attend University of Illinois at Urbana-Champaign to study agribusiness markets and management. He is the son of Jennifer and JW Day. Makenna Green of Arthur (Douglas County) will graduate from Arthur-Lovington-Atwood-Hammond High School and attend Lake Land Community College as an agriculture transfer student. She is the daughter of Justin and Monica Green. Lukas Hadden of Jacksonville (Morgan County) will graduate from Jacksonville High School and attend Lincoln Land Community College to study agri-business management. He is the son of Gary and Lisa Hadden. Ashley Hartman of Waterloo (Monroe County) will graduate from Waterloo High School and study agribusiness in college. She is the daughter of Kenneth Jr. and Anita Hartman. Charles "Charlie" Hoene of Sigel (Shelby County) will graduate from Teutopolis High School and attend University of Illinois at Urbana-Champaign to study agricultural and biological engineering. He is the son of Paul and Martha Hoene. Carlin "Carli" Hoffman of Nashville (Washington County) will graduate from Nashville Community High School and attend Kaskaskia College to study animal science. She is the daughter of Jeff and Andrea Hoffman. Dylan Janssen of Milford (Iroquois County) will graduate from Milford High School and attend Parkland College in the Case New Holland Technician training program. Parents: Bill and Misti Janssen. Elizabeth Kiselewski of Waltonville (Jefferson County) will graduate from Waltonville High School and attend University of Illinois at Urbana-Champaign to study agricultural accounting. He is the son of Gary and Tracy Kiselewski. Cody Knodle of Fillmore (Montgomery County) will graduate from Nokomis High School and attend Lake Land College and study crop production. He is the son of Mark and Julie Knodle. Seth Kocher of Claremont (Richland County) will graduate from Richland County High School and attend Olney Central College with plans to transfer to the University of Illinois at Urbana-Champaign to study Computer Science and Crop Sciences. He is the son of Thomas and Kathleen Kocher. Samuel Lueke of McLeansboro (Hamilton County) will graduate from Hamilton County High School and attend University of Illinois at Urbana-Champaign agricultural and biological engineering. He is the son of Jeff and Michele Lueke. Brodee McCormick of Athens (Menard County) will graduate from Athens High School and attend University of Illinois at Urbana-Champaign to study agricultural sciences education. He is the son of Will Tomlinson and Mandy McCormick. Madison Michels of Noble (Richland County) will graduate from Richland County High School and attend Wabash Valley College to study agriculture technology business. She is the daughter of Kenny and Julia Michels. Courtney Mosbacher of Prairie du Rocher (Monroe County) will graduate from Valmeyer High School and attend Murray State University to study agriscience technology. She is the daughter of Steven and Doris Mosbacher. Cassie Peters of Crescent City (Iroquois County) will graduate from Watseka High School and attend Lake Land College as an agriculture transfer student. She is the daughter of Gary Peters and Julie and Keith Lange. McKenzie Reagor of Karnak (Massac County) will graduate from Century High School and attend Shawnee Community College to study agriculture business and management. She is the daughter of Josh and Tiffany Reagor. Molly Schempp of Atlanta (Logan County) will graduate from Midwest Christian Academy and study agricultural education in college. She is the daughter of Darin and Cindy Schempp. Lane Schilling of Okawville (Washington County) will graduate from Okawville High School and attend University of Illinois at Urbana-Champaign to study crop sciences. He is the son of Rodney and Tami (Craig) Schilling. Jacob Uphoff of Mattoon (Coles County) will graduate from Mattoon High School and attend University of Illinois at Urbana-Champaign to study crop sciences. He is the son of Kim and Bill Uphoff. Emmalyn Walk of Neoga (Cumberland County) will graduate from Neoga High School and attend Lake Land College to study agriculture with plans to transfer to a four-year university to earn a degree in agriculture education. She is the daughter of Phil and Lori Walk. Kinser Wargel of Clinton (DeWitt County) will graduate from Clinton Community High School and attend University of Illinois at Urbana-Champaign to study agricultural and consumer economics, farm management. He is the son of Thomas and Claudine Wargel. Pictured above: Class of 2018 FCI Agriculture Scholars who attended the recognition luncheon at the Mahomet central office in May 2018. This is the 11th year FCI has funded community improvement grants; the total amount awarded is nearly $135,000. Examples of this year’s award-winning projects include managing community gardens, improving fairgrounds, and constructing roadside welcome signs. Pictured above: The Carrolton FFA Chapter accepting their 2018 community improvement grant check. Here are 4 additional reports our Hometown Illinois Radio Network division provided illinoisfarmradio.com from the Commodity Classic in Orlando, Florida. Our Hometown Illinois Radio Network division, is covering the Commodity Classic in Orlando, Florida. Here are our 3 reports airing on illinoisfarmradio.com on Thursday, February 28. The Commodity Classic is getting underway this week in Orlando, Florida. 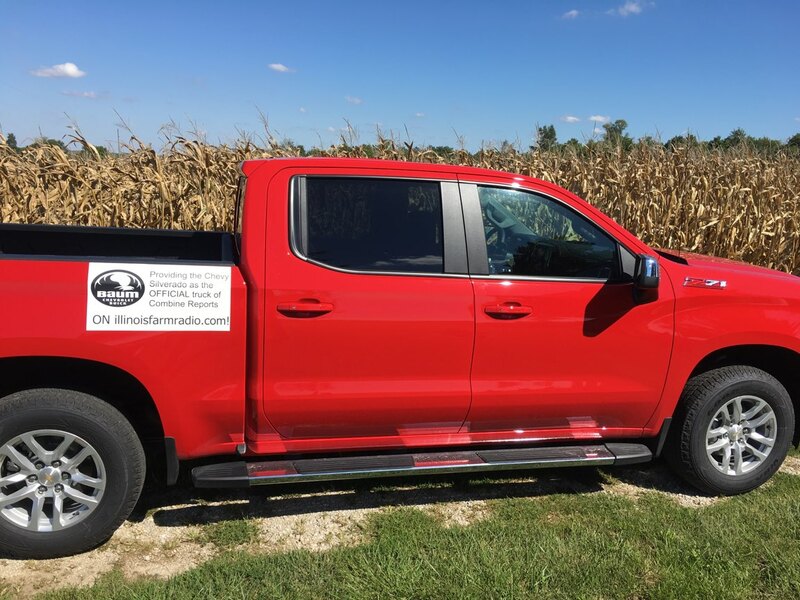 Our Hometown Illinois Radio Network is covering the Classic, which is the combined meeting of several ag trade groups, including the National Corn Growers Association and the American Soybean Association. Here are our reports airing on illinoisfarmradio.com on Wednesday. Reports continue on illinoisfarmradio.com thru Friday. The Piatt County SWCD Foundation will be offering a scholarship this year. Administrative Coordinator Angela Daily states “The Foundation is excited to introduce this $1,000.00 scholarship for the first time! We have decided this is a good way to give back to our supporters and communities”. The Hugh Hammond Bennett Scholarship will target individuals interested in furthering their education in any Ag or Natural Resources related field. 1. Currently enrolled in a school district that serves Piatt County. 2. A prior graduate of a school district that serves Piatt County. resource related degree or certification. 5. Have resided in Piatt County at some point in the last 5 years. If a disability request or dietary/allergy specification needs to be accounted for, please inform Dave Fulton during the time of RSVP. The USDA is an equal opportunity provider. 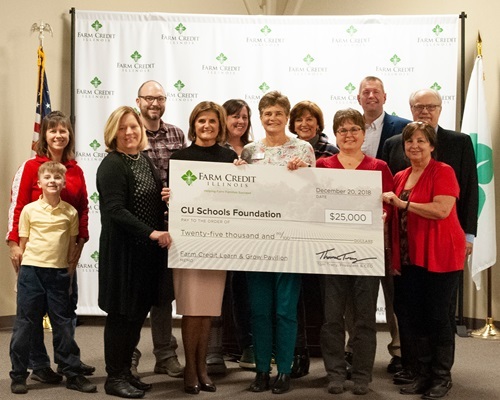 About the Champaign Urbana Schools Foundation: CU Schools Foundation is an independent, non-profit corporation dedicated to enhancing the quality of education in Champaign-Urbana through community support of the public schools. The Foundation’s goal is to elevate excellence by partnering with the Champaign and Urbana public school community to change the lives of the educators and students served. 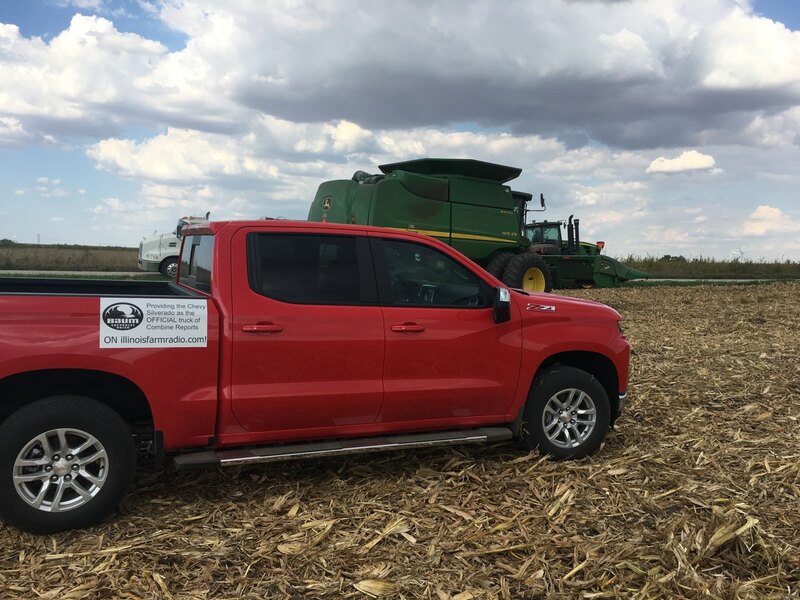 About Farm Credit Illinois: Farm Credit Illinois (FCI) supports rural communities, farm families, and agriculture as a farmer-owned lending cooperative. 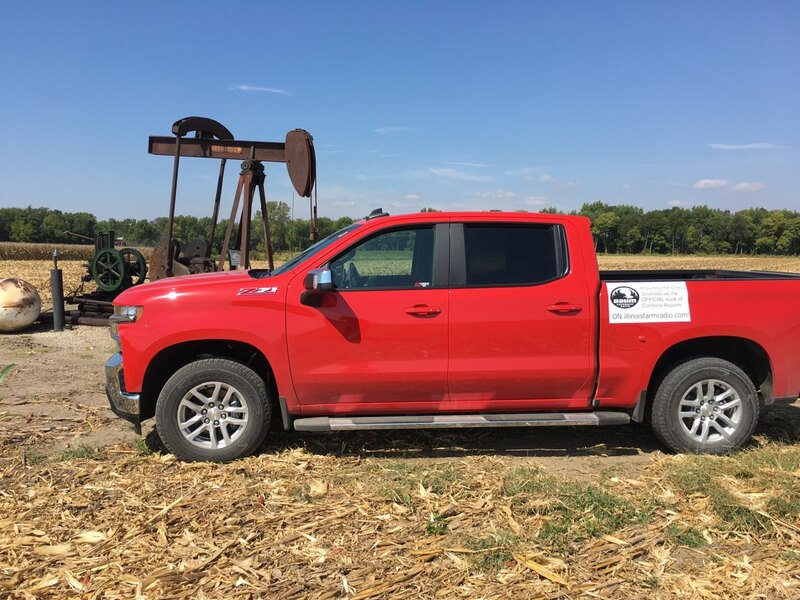 FCI is owned by 8,500 farm families, agribusinesses, and rural landowners in the central and southern 60 counties of Illinois. Invested in the future of the rural communities in which our 220 employees live and serve, FCI annually contributes $300,000 and 2,000 volunteer hours to youth, charities, and rural communities. Farm Credit Illinois is dedicated to Helping Farm Families Succeed today and tomorrow. Thirty $2,000 scholarships are available to high school seniors with agricultural career aspirations, planning to enroll in an agriculture-based college curriculum next fall. Two under-represented minority student applicants will be designated as Diversity in Agriculture Scholars. Selection criteria includes academic achievement, participation and leadership within school and community organizations, and a commitment to pursuing an agriculture-related career. Recipients must reside – or their family must farm – in one of the 60 central and southern Illinois counties served by Farm Credit Illinois. NEW IN 2019 – FCI has replaced the essay portion of the application with a Passion for Agriculture Video submission. Create a 30-45 second video on your phone capturing your passion for agriculture. After a quick personal introduction, showcase one specific object (i.e. momento, place, project, person, plant, animal) you treasure and describe its significance and how it helped shape your commitment to agriculture. All applicants should complete the Application and share the Academic Verification Form link with a school official to submit. The application deadline is March 1, 2019. Contact FCI with scholarship questions at ask@farmcreditIL.com or 217-590-2200. Recipients will receive $1,000 of the scholarship for the Fall 2019 semester and the remaining $1,000 will be available to students who continue pursuing an agricultural degree during the Fall 2021 semester. 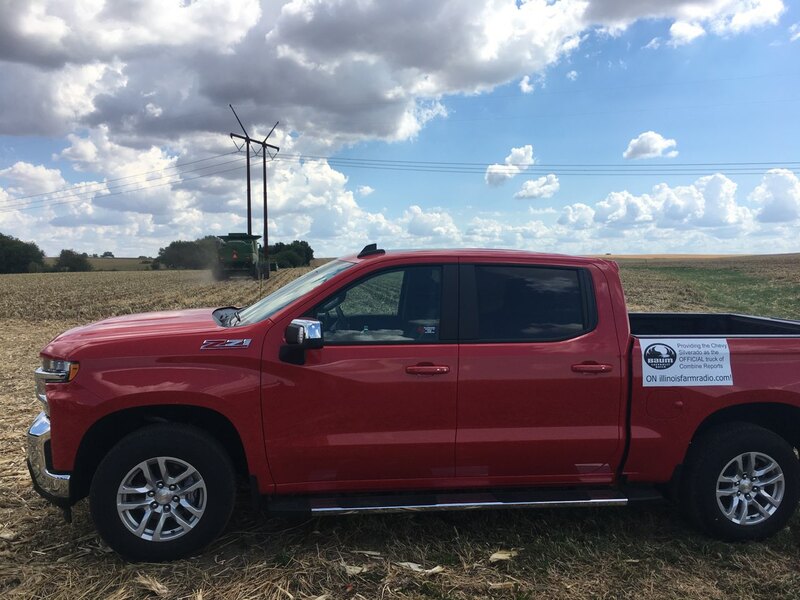 The University of Illinois College of Agricultural, Consumer and Environmental Sciences (ACES) offers a full $2,000 scholarship match to 2019 Farm Credit Illinois Agriculture Scholars who enroll full-time in the College of ACES either initially in the Fall 2019 semester or as a transfer student in the Fall 2021 semester. More information about the scholarship match is available from the U of I College of ACES. High school seniors pursuing a career in agriculture are invited to apply for a $2,000 Farm Credit Illinois Agriculture Scholarship. Thirty scholarships will be given in 2019 with two recipients designated as Diversity in Agriculture Scholars. Recipients are selected based on a combination of academic achievement, participation and leadership in school and community organizations, and the applicant’s commitment to an agricultural career. Applicants must be high school seniors enrolling in a college or university during the 2019 fall semester to pursue an agriculture-related academic major and career. Applicants must reside in – or immediate family must farm in – one of 60 central and southern counties in Illinois served by FCI. Recipients will receive $1,000 for the fall 2019 semester and $1,000 for fall 2021. Farm Credit Illinois also invites 4-H Clubs and FFA Chapters organizing projects to apply for a $500 Community Improvement Grant. Fifty $500 grants will be awarded to assist youth members in bringing positive change to their local community. Clubs should choose a project that delivers tangible value where the outcome is visible. Farm Credit encourages collaboration with other local organizations to develop and complete the improvement project. Online applications for the scholarship and grant programs are available at www.farmcreditIL.com and must be submitted by March 1. In lieu of an essay, students will create a 30-45 second video capturing their passion for agriculture. Questions or requests for additional information may be sent to ask@farmcreditIL.com. WHOW THE BIG 1520 across Central Illinois, 92-point-3 FM in DeWitt County, and 106-point-5 FM in Logan County, again sponsored the Antique Tractor Show Contest at this week's Greater Peoria Farm Show. WHOW announced those winners today on its Noon Farm Show. They included first place winner being a Farmall 460 owned by Roger Henderson, of Jacksonville, IL who won a 150-dollars from WHOW. Second place was a 1951 Oliver 77 owned by George Weyrich of San Jose, Illinois, who won a 100-dollars from WHOW. Third place winner was a 1944 VA Case owned by Robert Blue, of Canton, Illinois, who won a 50-dollars from WHOW.